We want you to be 100% satisfied with your custom clothing and unconditionally guarantee our products. To eliminate any problems before they happen we provide several resources to get your order correct the first time, every time. We will provide a virtual proof or embroidered swatch of your artwork to ensure it meets your approval. Please make sure you review the proof and request any changes you feel are necessary. If you are unfamiliar with the product you have chosen, we strongly suggest you order an unembellished sample to verify its suitability. We cannot accept the return of an embroidered or printed product unless it is defective. Should you find any defect in any order, please notify us as soon as possible. 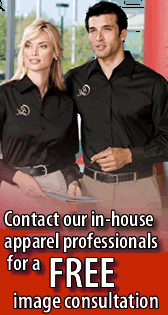 Any defective product or embroidery will be replaced at no charge.